✔ SAVE 80% INSTANTLY - Save up to 80% on the cost of lighting your industrial space by replacing your 600W commercial building lights with 120W. ✔ 45,000 HOUR LIFETIME - Lifetime of more than 45,000+ hours and backed by a trusted warranty. 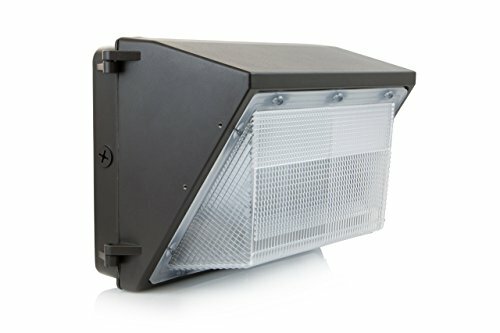 Hyperikon® LED Wall Pack is ideal for overnight security, entrance, and overhead door lighting applications. ✔ SUPER BRIGHT - Hyperikon's 120W LED Wall Pack provides brilliant lighting and is an efficient, energy-saving replacement for 600-watt metal halide and high pressure sodium fixtures by outputting an incredible 9600 lumen. ✔ FULLY WEATHERPROOF - IP65 waterproof rating for worry-free outdoor lighting. The commercial-grade housing features a lens made of high-quality, shatter-resistant prismatic epoxy designed to withstand damaging effects of outdoor environments.